In Java, a constructor is a block of codes similar to the method. It is called when an instance of the object is created, and memory is allocated for the object. Every time an object is created using new() keyword, at least one constructor is called. It calls a default constructor. Note: It is called constructor because it constructs the values at the time of object creation. It is not necessary to write a constructor for a class. It is because java compiler creates a default constructor if your class doesn't have any. 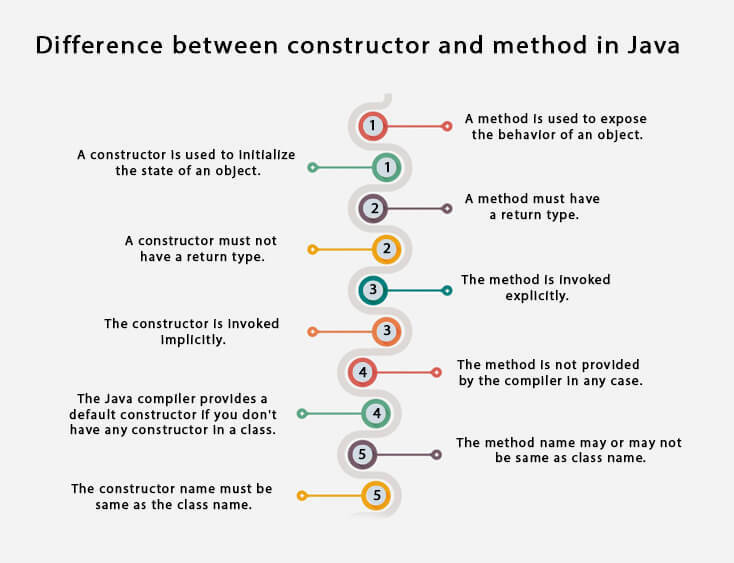 There are two rules defined for the constructor. Note: We can use access modifiers while declaring a constructor. It controls the object creation. In other words, we can have private, protected, public or default constructor in Java. Q) What is the purpose of a default constructor? The default constructor is used to provide the default values to the object like 0, null, etc., depending on the type. Explanation:In the above class,you are not creating any constructor so compiler provides you a default constructor. Here 0 and null values are provided by default constructor. 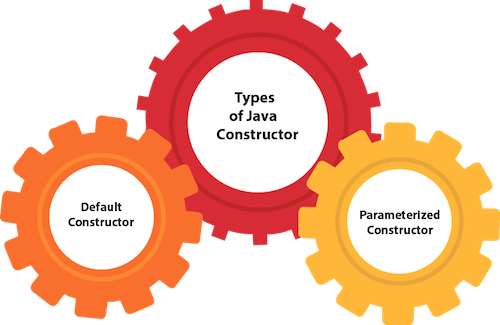 A constructor which has a specific number of parameters is called a parameterized constructor. Why use the parameterized constructor? The parameterized constructor is used to provide different values to the distinct objects. However, you can provide the same values also. A constructor is used to initialize the state of an object. A method is used to expose the behavior of an object. A constructor must not have a return type. A method must have a return type. The constructor is invoked implicitly. The method is invoked explicitly. The Java compiler provides a default constructor if you don't have any constructor in a class. The method is not provided by the compiler in any case. The constructor name must be same as the class name. The method name may or may not be same as class name. There is no copy constructor in java. However, we can copy the values from one object to another like copy constructor in C++. Yes, it is the current class instance (You cannot use return type yet it returns a value). Yes, like object creation, starting a thread, calling a method, etc. You can perform any operation in the constructor as you perform in the method.